I actually delayed listening to this album because of the obnoxious (and endless) release campaign the band had on Pitchfork, where viewers saw some National-related content or advertisement for what had to be a month straight. The nauseating spread, however, was just indicative of the band's higher profile: High Violet bowed at #3 on the Billboard album chart in its first week. No longer the band hipsters tell people about, they are now the band that late night television tries to shove down our throats. But despite all the pomp and circumstance surrounding it (and boasting some admittedly rad cover art) their latest record is consistent in quality with their, er, lesser-selling efforts. The album starts off with a flat-out rocker in "Terrible Love," which sounds like a more mature Alligator track. The dual-layered guitar riffs (one seething and one sublime), intricate drums (the band's secret weapon) and superb (if somewhat mumbled) baritone lyrics fit the song well. The ferocious climax signifies the band at its best, with all parts resonating. The lack of Berninger screaming a finale demonstrates seasoned judgment on the part of a band that's running out of things to restrain. But the energetic portion of High Violet ends there, as the remainder is far more subdued-and cohesive. A smattering of the early tracks ("Sorrow," "Anyone's Ghost," "A Little Faith") finds trouble getting off the ground, but this wariness dissipates as the songs protract. Eventually each one comes together via Berninger's erudite lyrics or Aaron Dessner's graceful composition. While a few tracks in the first half could have benefited from say, an outside producer, the second half bears few faults. "Bloodbuzz, Ohio," "Lemonworld," "Conversation 16" and "England" bode nicely in context with the group's full catalogue, maybe even higher than most of it. The most affective song on Violet both musically and lyrically is "Runaway," a using a gently repetitive guitar riff and a series of murky horns to compliment Berninger's forlorn delivery throughout. He starts singing "There's no savin' anything/ I was swallowing the shine of the sun", and later proclaims "We don't bleed when we don't fight/ Go ahead go ahead put your arms in the air tonight," with an air of peace not unreminiscent of reverberating forefathers U2. 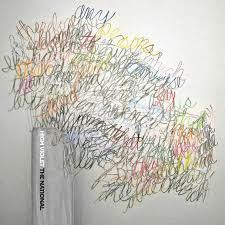 But it's the National's esoteric humor that really makes them stand out among their poker-faced bretheren. A grandiose, swaying ballad titled "Vanderlye Crybaby Geeks" fittingly closes the album, as Berninger repeatedly bellows that he'll "explain everything to the geeks." Perhaps the frontman provides some answers in his latest video for "Bloodbuzz, Ohio," wherein he dances awkwardly in a suit, doffs a glass of wine in the middle of an empty room, strolls through the park and awkwardly sings the tune beside a wary coffee shop patron. We're still awaiting the aforementioned explanation. A student living in Scotland and working toward a PhD in law.